Seventy six years ago today, on 12 September 1940 four teenage boys made one of the most significant archaeological discoveries of the 20th century: the extraordinary cave of Lascaux. Opened to the public in 1948, it was not long before more than 1,000 visitors a day came to see the Stone Age images that changed the way in which we think about the history of art. Sadly, by 1955 there were already signs of trouble. And so in 1963 access to the cave was restricted. A replica was built, every bit as extraordinary as its original, and opened in 1983. 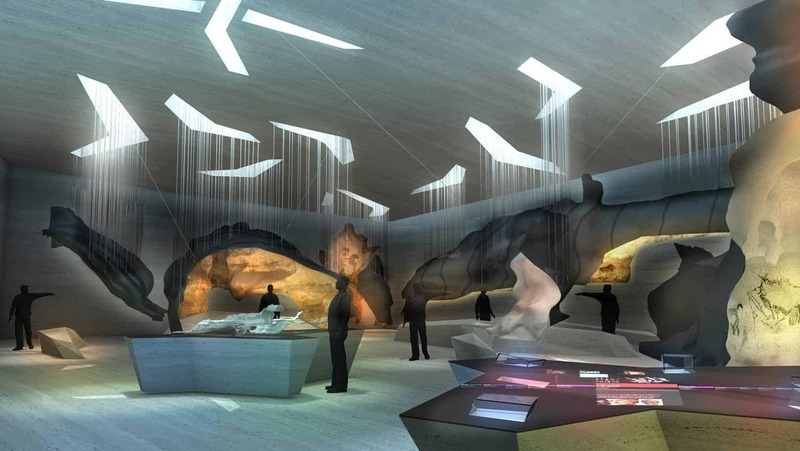 Lascaux 2 attracts over 250,000 visitors a year. In a few months time, 15 December, Lascaux 4 will open. 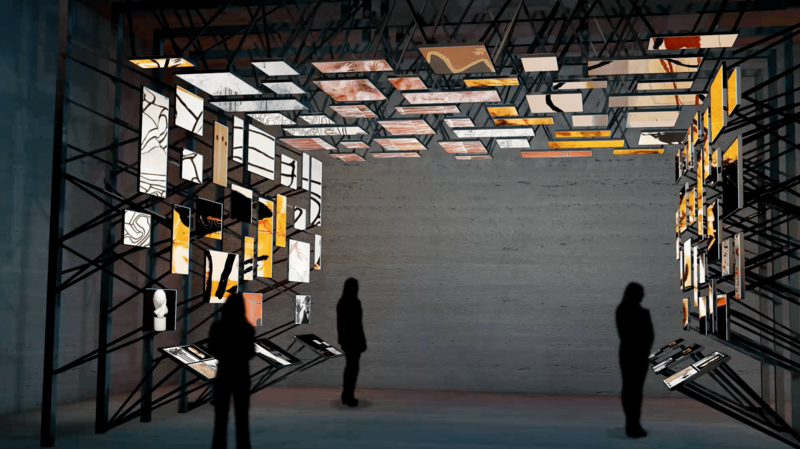 Read on for five reasons why Lascaux 4 will not just be a bigger and better Lascaux 2. Is Robot the first Indiana Jones? 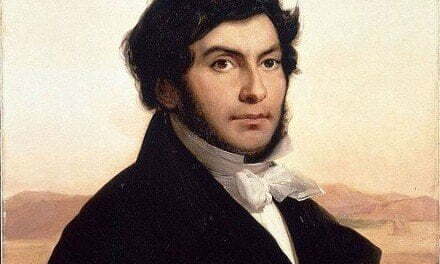 On 8 September Marcel Ravidat and his dog Robot were out walking on the hill just beyond the town of Montignac. As curious as most dogs are, Robot disappeared down a hole amongst the roots of a fallen tree. In an attempt to recover his dog the 18 year old Marcel, then an apprentice mechanic, threw stones into the hole and realised there was a large cavern. According to local folklore there was an underground tunnel that lead to the nearby manor house. Excited that this is what he had found, four days later Marcel returned to the fallen tree with three friends, Jacques Marsal, Georges Agnel and Simon Coencas, to explore the hole in the ground. What they discovered on 12 September 1940 is one of the most significant archaeological discoveries of the 20th century. Hall of the bulls, Lascaux. Given the importance of Lascaux, recognised early on, it is not that surprising many visitors went to see the Palaeolithic images once the cave was opened to the public in 1948. By 1955 it is said that each day around 1,200 people entered the cave. Unfortunately by then there were already signs that did not bode well for the continued preservation of the images thought to be about 17,000 years old. The effect of numerous daily visitors was to raise the temperature and humidity levels inside the cave, as well as increasing the amount of carbon dioxide present in the atmosphere. Thus creating perfect conditions for both the growth of micro-organisms and fungal spores introduced by the visitors, and the noticeable formation of calcite deposits on the cave walls, which in some places covered the paintings and engravings. In an attempt to return the micro-environment within the cave to what it was, access to the cave was greatly restricted in 1963. Only a few visitors were allowed in each week, and for only a very short time. Sadly this action did not produce the desired outcome and by 2008 the cave was closed to all but a few conservationists, indefinitely. Recognising the significance of Lascaux, the French Ministry of Culture funded the creation of a replica. Not of the entire cave, but of the Hall of Bulls and the Axial Recess, which together contain over 90% of all the paintings and engravings in the cave. The replica was built on the same hill, and actually not far from the original entrance. 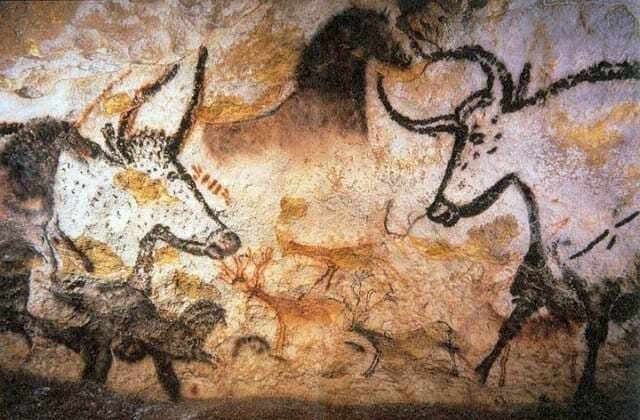 On 18 July 1983 the first tourists entered Lascaux 2, and since then close to 10 million people from all over the World have come to see the reproduction. Although the idea of seeing a replica does not appeal to some, the accuracy, of both the cave walls and the prehistoric images, is measured in millimetres. And even the experience of entering the original cave is replicated. For example, you go down a series of steps, and then pass through a series of chambers, before actually seeing the Palaeolithic art, just as is the case in Lascaux. The temperature is kept the same, a constant 12° throughout the year. The only noticeable difference is the even floor. Larger than life, Lascaux on the façade of the Field Museum, Chicago. And then there was Lascaux 3. In an effort to promote the cave and the new initiative, an international touring exhibition was launched in Bordeaux in October 2012. And it has been travelling around the World ever since. 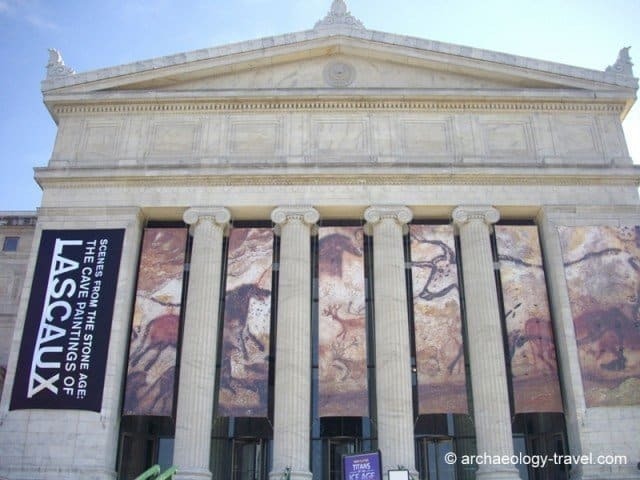 After Bordeaux its first stop was the Field Museum in Chicago, from there is has been to other venues in the USA, various countries in Europe and the Far East. The main feature of the Lascaux 3 exhibition are five life-size reproductions of panels not are included in the Lascaux 2 reproduction; including the well-known scene of the bison and wounded man and the exquisite frieze of swimming stags. Other copies of these five panels can also be seen at Le Thot, near Montignac. So it is time for Lascaux 4. 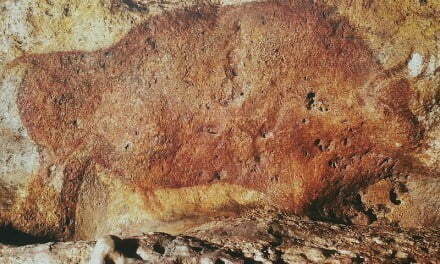 In a sense Lascaux 2 has also become a victim of its own success, And ironically, it is a threat to the original cave. Along with the many tourists who come to see the replica on the hill, throughout the year, are the vehicles that bring them. And so a new attraction has been built at the base of the hill to keep the coaches and cars, and their charges as far away from the original cave as possible, but still getting something of the Lascaux experience. Over the last few years, while taking clients on my cave art tours to see Lascaux 2, we have driven by the building site for Lascaux 4. On each occasion I stopped to take a photograph. And then in May this year I had a tour of the building site. Frequently I have been asked whether Lascaux 4 will be worth visiting, particularly by those who have already seen Lascaux 2. There is an assumption that Lascaux 4 will just be a more complete and better replica. Watch the following promotional video; if you have already visited Lascaux 2, I am confident you will get a taste of why there is so much more to Lascaux 4. France has some of the finest prehistoric cave art in the World, in some spectacular regions, from the limestone valleys of the Dordogne to the majestic Pyrénées mountains in the south. While the most well known of all, Lascaux, is no longer accessible – many other cave art sites are still open to the public, and some all year round. This comprehensive guide to visiting cave art in France provides details for each cave, links to websites, and numerous tips to help you get the most out of your tour, whether you want to see a few of the best sites, or have a few days and want to see as much as you can … Continue Reading. If the video has not convinced you, here are five reasons why you should visit Lascaux 4. Yes, there is more to see. Although over 90% of the imagery from the original cave is reproduced in Lascaux 2, the small percentage not reproduced there is quite spectacular. Now in Lascaux 4, for the first time visitors will be able to experience all of the painted and engraved panels and their relationships to each other and the cave itself. It is after all these relationships that researchers today think are important for understanding the significance of this imagery. In all fairness, there is little more to Lascaux 2 than the replica. Before getting to see the reproduced paintings visitors go through two chambers, which replicate the successive air-tight chambers that have been built at the entrance to the original cave. In the replica, the chambers have quite rudimentary displays that the guide uses to tell the story of the discovery of Lascaux, how the art was created and why the replica is necessary. At Lascaux 2, the replica is the attraction. You buy your ticket and you get a very rushed guided tour in a group of 25 people. For example, as you enter the Hall of Bulls, having waited for the previous group to move on, you will see the previous group in the Axial Recess. Then you move on, and another group is hot on your heels. Your group exits and that is it. For those who want to know more, you need to buy a good book. In Lascaux 4 there is a much less rushed guided walk through the reproduced cave. This is then followed by a series of interactive galleries that explore various aspects about Lascaux and cave art in a broader context. While there is obviously a time limit to your journey through the cave, you are able to explore the rest of the interpretative centre at your leisure. Certainly the full replica is the main feature of any visit. But the focus of each visit is on the interpretation of Lascaux, in its prehistoric and international context. In terms of what is on offer, this is a totally different experience than what you have had at Lascaux 2. Lascaux 4 will be a whole new experience! The experience at Lascaux 2 is a passive one. With the benefit of over 30 years of archaeological research and developing information technologies, your experience at Lascaux 4 will be far from passive. On arrival you will be given a tablet computer that contains all the information about the various displays, in your language (over 10 languages are catered for). With these tablets you will be able to interact with displays for more information, take photographs and record information that interests you. When you leave and return the table you will be given a code that can be used to access the Centre’s website so you will be able to download the images and information you saved during your visit on to your own devices and computers. Lascaux changed the way we think about the history of art. If you have not already visited Lascaux 2 you might be wondering about the importance of the cave. What is so important about Lascaux that makes it one of the most important archaeological discoveries of the last century? In short, Lascaux changed the way in which we think about the history of art. Although Stone Age art in western Europe was known about before Lascaux was discovered by Marcel and his friends, none of the caves known before 1940 had imagery anything like what we see in Lascaux. There is a very good reason why Lascaux has come to be called the Sistine Chapel of prehistory. More significantly, however, it was the discovery of Lascaux that changed ideas about the origins of art. Until the 1940s it was widely thought that the origins of art lay in ancient Greece and Rome. With Lascaux, artists and archaeologists were quick to realise that ‘art’ had much deeper, prehistoric origins. And what followed was a story of art that started in Lascaux and ended in the Louvre. Today we rightly challenge this Eurocentric account of the history of art, but in the 1940s it was Lascaux that challenged a very narrow definition of what was considered art. But it’s still just a replica! Forget that it is a replica. The techniques used to reproduce the cave and the art are so good that, truly, the accuracy of the reproduction is measured in millimetres. And, the sad truth is you are highly unlikely to ever get a chance to visit the ‘real’ one. If you want to see a ‘real’ cave, there are still a number of decorated caves open to the public in France. Not wishing to over think the issue, however, we do need to think about what we mean by a ‘real’ cave anyway. All the caves we are able to visit today are altered to some extent so as to make it possible for people to enter. The modifications are such that these caves can not really be considered ‘real’, certainly if we think of real as some kind of close relationship to Palaeolithic times. 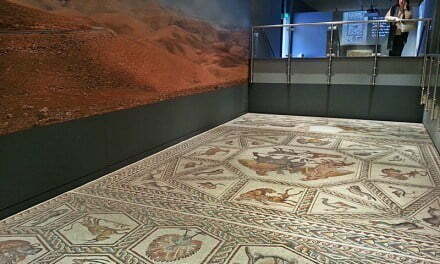 In fact, in the case of Lascaux the floor was heavily modified. The original is not ‘real’. Replica or not, it’s an exceptional replica and no other medium reproduces the grandeur of the Hall of Bulls, or the intricacy of the cave itself. 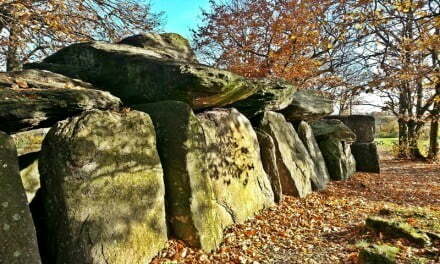 I have been taking students and clients to Lascaux 2 for over 20 years. And Yes, of course there have been a few people who had a somewhat negative attitude because we were about to visit a replica. Not once have I ever had anyone come away regretting the visit. When your guide opens the final set of doors in the antechambers of Lascaux 2, and you are lead into the Hall of Bulls, I challenge anyone not to be blown away. After many visits over a period of 25 years, I am still blown away. 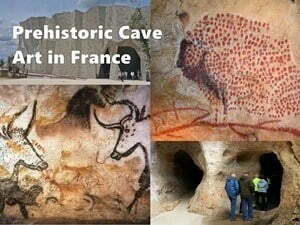 Why not join me on a tour of France’s cave art, and see if you agree.